Individuals experienced in mental health and substance abuse treatment may see a more raw version of what they see everyday. Individuals not experienced in either of those fields will see the extreme effects of untreated mental illness and substance abuse and how directly affects the individual and the community. Volunteering is important because it removes and reinforces. There are so many boxes our culture places people in. Volunteering for SWAG allows one to remove themselves and others from society’s definitions (rich, poor, success, failure, etc.) and reinforces the truth. It is time to take action, SWAG does just that! 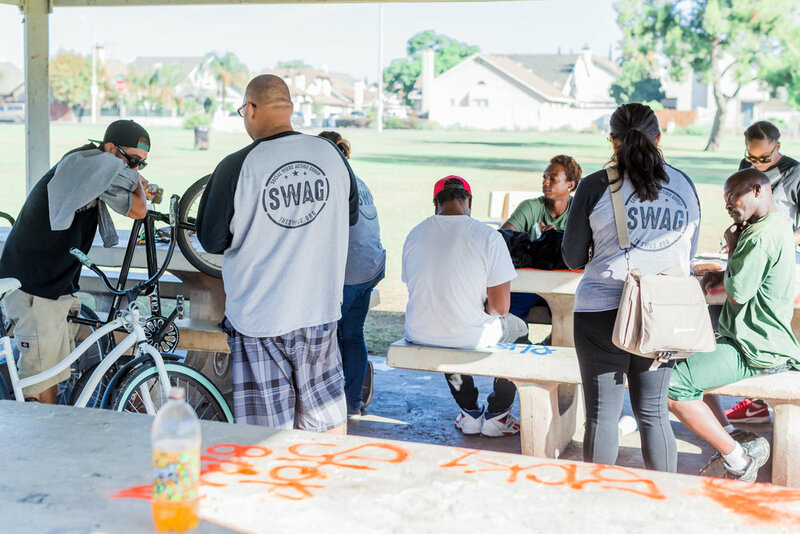 Volunteering with SWAG really shows us how people experiencing homelessness in our community really live and what kind of circumstances they may face. Basically, daily challenges that we might now know exist. I think it’s good to be exposed to this sad reality. It makes you appreciate what you do have in life. If people on the streets had the skills needed, they would not be homeless. Nobody wants to be homeless. When people refuse services, it is our job to figure out why and address those needs first. Change is hard and scary. Everyone deserves a home. It’s imperative that we not only address the strong correlation between homelessness and substance abuse, but recognize that treatment will never be successful, if the supportive services are not in place to help those living on the streets. Untreated mental illness does not discriminate and there is an entire spectrum of illnesses on the streets that is being disregarded. We are dealing with broken individuals who desperately need help connecting with mental health services to allow the healing process to begin. I’m 58 years-old going on 59 soon. This is no life for me. We are not invisible, they are just trying to sweep us under the rug…we are already living under bridges and in sewers just trying to survive. Outreach is offering an opportunity for help to people who aren’t sure of how to ask for it. According to the Urban Dictionary, when someone possesses “swag” it is said that he/she walks or behaves in a very confident manner. Similarly, when one possesses confidence, he or she feels or shows confidence in oneself; is self-assured. 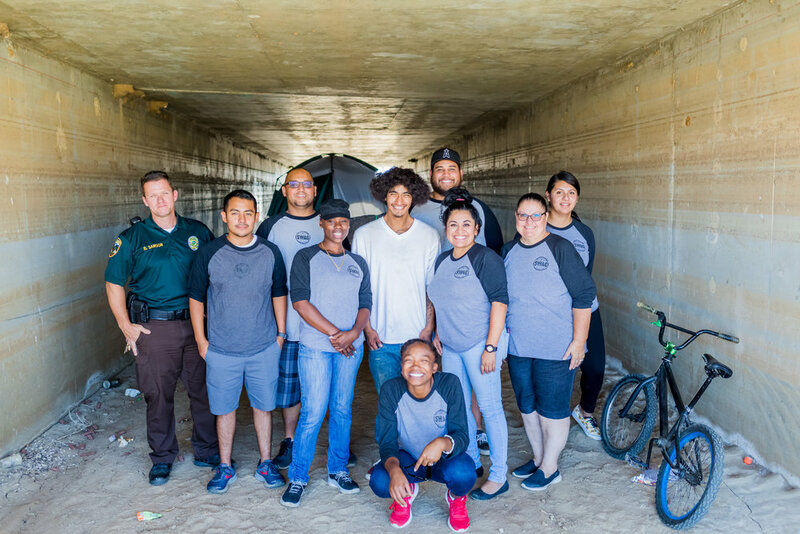 Conversely when I have experienced the competent and capable work of the Social Worker, Monica Sapien, and her staff as they teach and re-train youth and adults alike to possess swag and self-confidence., these definitions stand out. I therefore recommend S. W. A. G. (Social Workers Action Group) to any organization and/or future client who wants to get their “swag” on and their self-confidence back!! SWAG has been an amazing partner with our City. They are true professionals, who have the experience and case management needed to make a difference in our community and the lives of those in need. We can’t wait for the many new programs and projects that will come from this exciting collaboration.